Joe brings a wealth of administrative and management experience to Regional Arts Victoria, gained at Footscray Community Arts Centre, SYN Media, Express Media, Macleod YMCA and Victoria University. 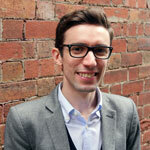 Born and raised in Albury, Joe relocated to Melbourne to attend university and foster the arts. He has a Bachelor of Business (Marketing / Music Industry), and in 2013 he completed his Master of Arts Management at the University of Melbourne following an internship in Singapore, and also completed the Australia Council for the Arts Emerging Leaders Program in 2014. He is currently Treasurer of the Footscray Community Arts Centre. Joe was General Manager and CEO at Express Media from 2010-2013, where he led a restructure of the organisation, as well as introducing exciting new partnerships leading to a comprehensive program of literary and developmental offerings for young writers. His past roles at Regional Arts Victoria have included supporting the Cultural Partnerships team and our regionally-based Creative Arts Facilitators, as well as coordinating our State-Wide Project Illuminated By Fire in 2010. Liz has an Advanced Diploma of Business Management and a Diploma of Tourism but describes her qualifications as grassroots: learning on the job whilst living, working and playing among regional communities. Her former roles include Manager, Theatre and Function Centre, Colac Otway Performing Arts Centre; Theatre Manager, HIT Productions; Council Festival and Events Coordinator, Shepparton; Box Office Supervisor and Acting Manager, Performing Arts and Conventions, Riverlinks; Ticketing Assistant, Ten Days on the Island Festival, Hobart. 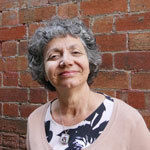 Liz is a life member of the Shepparton Theatre Arts Group Inc (STAG Inc). At STAG she served as committee member, directed and performed in productions, and received Victorian Music Theatre Guild nominations and commendations, as well as local theatre awards for her performances. 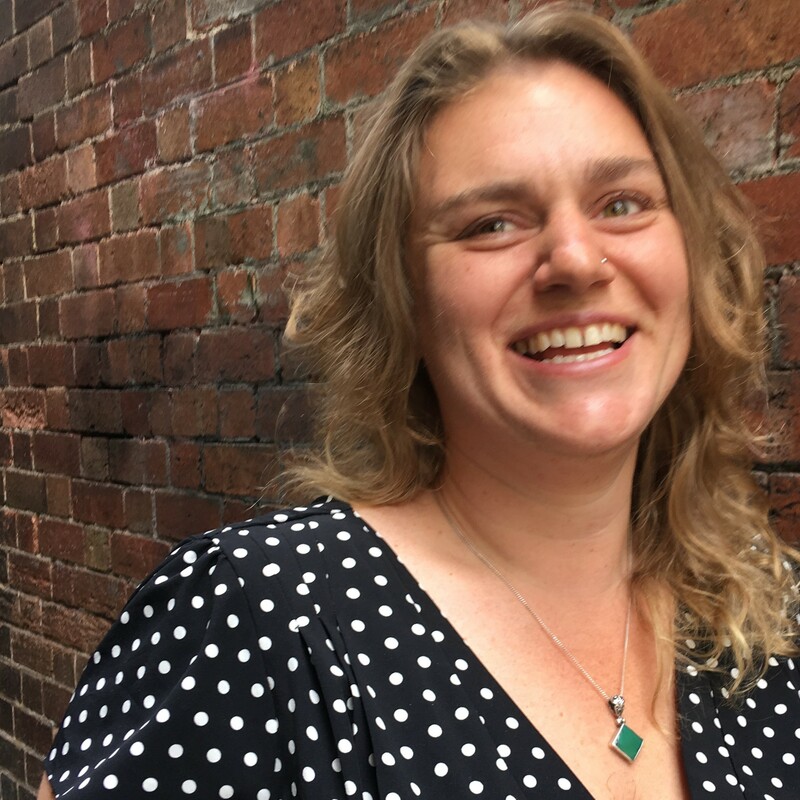 Liz has been a Panel Member of the Regional Arts Fund administered by Regional Arts Victoria, and was a board member of Regional Arts Victoria prior to taking on her current role. Edwina is our Partnerships Coordinator. 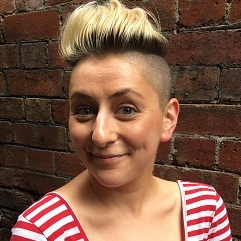 She comes to Regional Arts Victoria with over 10 years' experience in the arts working predominantly in stage management across festivals, theatre, dance and opera. In this time she has had the pleasure of working with companies including Brisbane Festival, Sydney Festival, Sydney Theatre Company, St Martins, Griffin, Belvoir, Bell Shakespeare, Malthouse, Melbourne Theatre Company, Victorian Opera, and 10 Days on the Island. Edwina is passionate about the importance of new work, and is thrilled to be working in a role that creates constructive change for artists who have something valuable to contribute to their communities. 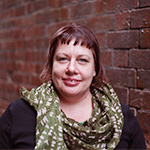 Anna is Regional Arts Victoria’s Membership & Office Coordinator. She is also a freelance producer, actor and theatre-maker, facilitating and participating in a broad range of arts events including festivals, plays, devised and immersive theatre, roving performance and site specific work. Since graduating from the Victorian College of the Arts in 2014, she has collaborated with companies and organisations such as Rollercoaster Theatre, She Said Theatre, Riot Stage, Poppy Seed Theatre Festival, Lonely Company, La Mama Theatre, Auspicious Arts Projects, Living Positive Victoria, Darebin Arts, and various presenters and venues across Australia and New Zealand. 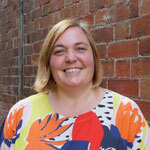 Kim is the Creative Arts Facilitator in the North West of Victoria. 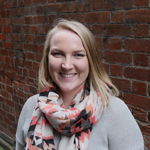 Kim works closely with Swan Hill Rural City Council and Gannawarra Shire Council. Kim is passionate about connecting artists with community groups, and working with the growing multicultural communities. Kim is consistently developing new arts and networking initiatives. Kim has a Bachelor in Theatre performance, and a background in arts funding as a grants writer and funding administrator. When she's not being a Creative Arts Facilitator, Kim is learning how to use her new Digital SLR, studying Arts Business Management and fostering rescue dogs. 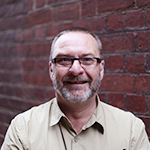 Malcolm is an arts administrator with over 20 years’ experience. With a passion very early on for theatre arts, Malcolm trained at Melbourne College of Advanced Education, majoring in Drama and English. He then worked as a teacher in the western suburbs of Melbourne for 6 years, as well as working as a director on a number of performances. In 1995 Malcolm obtained a Graduate Diploma of Arts and Entertainment Management from Deakin University and commenced work with Bharatam Dance Company as the General Manager. Since then he has been the Manager of Performing Arts programs for the Centre of Adult Education, General Manager of St Martins Youth Arts Centre, and since 2007 General Manager of Courthouse ARTS in Geelong, where he oversaw a $6.5 million renovation of their facility. 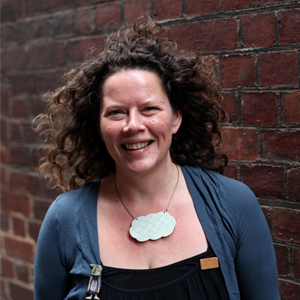 Jo is our Creative Arts Facilitator in the Great South Coast local government partnership. She is a strong advocate for recognition of arts in her community and works to provide creative advice, opportunities and development of skills across the region. Jo works closely with community and councils on strategic planning for projects and policy development. She has over 20 years’ experience in the arts and education industries and holds both a Bachelor of Arts (Photography) degree and a Master of Visual Arts. Jo has a part time practice as a visual artist and in 2013 a book of her work was published, titled All Prize Winners Paraded. Tim Dakin has been working in community development and the arts for over 20 years. 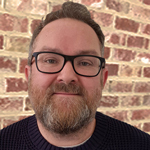 He has a BA in Performance Studies (Theatre and Dance) and has spent his working life in not-for-profit organisations and local government. 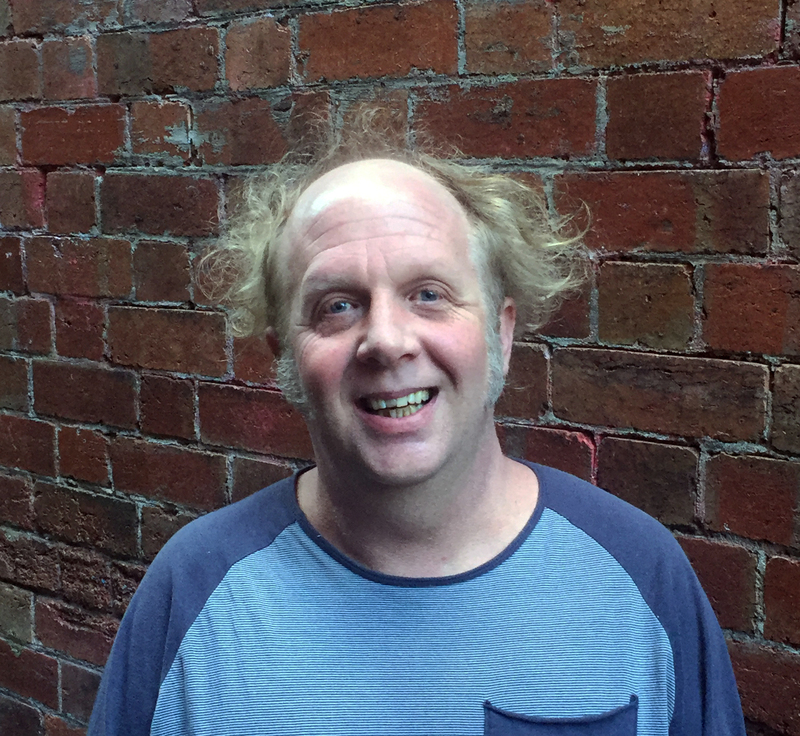 Tim has previously worked with Frankston Arts Centre to increase access to the arts for audiences, artists and arts workers, and with Arts Access Victoria coordinating disability awareness training and supporting artists with disability on career pathways. Tim is passionate about connecting his community, working with volunteers and supporting artists to create amazing work. Rosie Dwyer has a passion for bringing high quality arts experience to communities of all shapes and sizes. Starting her arts career producing music and festival events for young people in the Northern Territory, Rosie has had over 15 years’ experience in community & major international arts festivals, theatre, music management and touring across a diverse range of areas such as producing, programming, production, venue, stage and artist management and administration. Rosie is also a new mum, passionate gardener and bush walker. Pippin is our Arts & Education Coordinator. Pippin joins Regional Arts Victoria from Circus Oz, where she was previously the Classes and Education Coordinator. Pippin holds a Bachelor of Arts majoring in Drama and Dance, and brings with her a wealth of experience in training and performing and a passion for arts education. Bindi Green has been a professional freelance production collaborator for over twenty years, and comes to Regional Arts Victoria with an extensive touring back catalogue, both internationally and across all states and territories of Australia. With a mix of contemporary theatrical productions, arts festivals, live art experiences and community arts projects, Bindi has worked with a diverse range of companies and individuals across Australia. A core company member of Bunk Puppets, Bindi has also toured recently with Australian artists Salvador Dinosaur, Tim Humphreys and Madeleine Flynn, Bec Reid and Elbow Room. Working often in unusual venues and non-traditional performance environments, Bindi enjoys developing new artistic works and interactive experiences and theatrical events which create new and inspiring experiences for audiences, and which celebrate the unique talents and particular spirit of communities. Siobhan works in the arts as an actor, producer and event organiser. Since moving to Melbourne in 2011, Siobhan has co-founded two theatre companies; Key Conspirators and North of Eight and been cast in multiple theatre, film and television productions. She is an independent theatre producer, Festival Producer of Poppy Seed Theatre Festival and on the board of trustees at Howard Fine Acting Studio. Siobhan has invested time creating and managing live music events, performance based charity fundraisers and presents a monthly, public script reading program fostering new local works through her company Key Conspirators and in partnership with Gasworks Arts Park. This year, Siobhan was selected to take part in Melbourne Theatre Company’s Women in Theatre Program. Amber is our Programming Communications Coordinator. Amber has a degree in Communications majoring in business communication and public relations from Griffith University. She brings a wealth of experience from her previous role as Administration & Communications Manager at St Michael's on Collins, running the promotions for all hired and internal events. Amber has always been surrounded and influenced by art, growing up with a passionate artist: her mum. Graham is our Manager of Small Town Transformations. Having worked in production and technical roles in theatre and events for the first part of his career, Graham has worked at Regional Arts Victoria in a number of roles in the last 5 years, first joining the Performing Arts Touring team and then event producing. After the enormous success of the first Small Town Transformations he is delighted at the prospect of working with regional towns on a second program. What will their BIG ideas be? 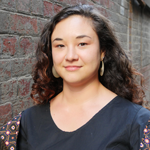 Catherine is a cultural activist, working within marketing for behaviour change. 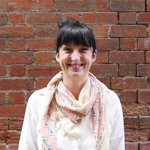 At Regional Arts Victoria she works across marketing and publicity to grow experiences of the arts in regional contexts. And it is a great pleasure. 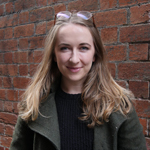 Recently returned from working with festivals and events across Australia, Catherine now writes to share the experience of marketing in the arts, intending to grow support and capacity for peers working in the role across the industry. She graduated with a Master in Arts and Entertainment Management from Deakin University, having been awarded the Post Graduate and Helen Macphserson Smith Arts and Entertainment Scholarships. She also has undergraduate degrees in Communications and Tourism through Monash University. Catherine is passionate about people, arts, music, trees and dancing. 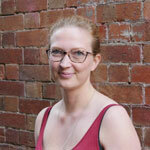 Jenna is our Finance Administrator. She has previously worked in similar roles for Express Media and the Student Youth Network. She has a BA in Writing and Cultural Studies, and is analumnus of the Voiceworks Magazine Editorial Committee. Her writing has appeared in Text Journal, Daily Life, Feminartsy and other publications. She is also the curator of Head Desk, a mental health culture resource. Rowena is an independent artist and producer. Her arts practice is a unique blend of theatre, cabaret and comedy, all of which generally feature her love of gigantic DIY props. She is one-fifth of the multi-award winning, cult cabaret Fringe Wives Club. Rowena has worked as a freelance consultant and administrator with a number of brilliant artists and organisations including Sam Halmarack, Geraldine Hickey, ArtPlay, Arts House and Bureau of Works. She is very happy to have joined the incredible team at Regional Arts Victoria.